Andy from Black Veil Brides was a great guest on TMS. Good to have some young blood on the show. Tons of variety this season. See it this Saturday 9P ET VH1 Classic. 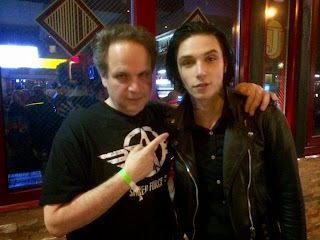 En las calles de la ciudad de Nueva York justo ahora disfrutando con andy en nuestra 'after party' de @ThatMetalShow.